Search For "Pharmaceuticals" Companies in Grass Valley, California - Click Here Now! Neurofeedback Is A Very Powerful Therapy That Can Help With Many Conditions. Neurofeedback Therapy Has Helped Children Address ADD/ADHD Symptoms, Improve Academic Performance, Address Learning Disabilities, Reduce Migraines, Enhance Brain Function, Increase Concentration And Personal Discipline, Increase Reading Speed And Comprehension, Lower Stress And Anxiety, Sleep Better And Ease Insomnia, Promote Calm, Alert Performance And Reduce Behavior Problems. Neurofeedback Has Helped Adults To Enhance Scholastic Performance And Learning Ability, Improve Memory, Enhance Brain Function, Reduce Migraines, Ease Insomnia, Reduce Stress And Anxiety, Improve Concentration And Mental Clarity, Ease Depression, Manage Chronic Pain, Regain Function After A Stroke, Enhance Performance In Sports And Music, Calm PTSD, Control Addictions, Manage Brain Injury Symptoms, Enhance Creativity, Heighten Awareness, Sleep Better And Ease Restless Leg Syndrome And Reach Their Personal Potential. 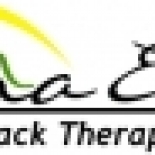 Sierra EEG: Neurofeedback Therapy in Grass Valley is a company that specializes in Medicinals & Botanicals. Our records show it was established in California.